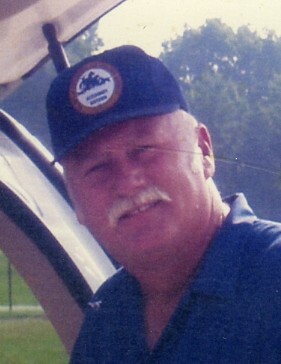 Mr. Richard Keith Honeycutt, 66 of Salemburg, passed away Sunday, April 14, 2019 at his home. The funeral service will be held at 2:00pm on Wednesday, April 17, at Hollands Chapel Pentecostal Holiness Church, 2069 Huntley School Road, Roseboro, with Reverend Billy Hall and Reverend Bobby Tew officiating. Burial will follow at Tew Family Cemetery. Keith was born April 1, 1953 in Sampson County. He was preceded in death by his father, C.B. Honeycutt; and one sister, Donna Honeycutt. Keith made the most valuable baseball player for pitching in his senior year at Roseboro-Salemburg High School. He retired from the State Agriculture Veterinary Division where he became interested in environmental issues in disposing of farm livestock. He designed one of the first disposal sites. He started his own way of getting expired animals to rendering plants and began his own business, Dads, Inc. He is survived by his wife, Pat Wrench Honeycutt of the home; two sons, Aaron Honeycutt of Roseboro, David Elridge of Pink Hill; his mother, Geranium Tew of Salemburg; one sister, Cathy and husband, Gary Patterson of Mooresville; and five grandchildren, Aubrey Honeycutt, Aaliyah Honeycutt, Wesley Holmes, Boyden Elridge, Metta Elridge. The family will receive friends from 1:00-1:50pm on Wednesday prior to the funeral service and other times at his home.